Howard Frank Mosher has earned both critical acclaim and a wide readership for his vivid historical portraits of northern New England residents in his fictional Kingdom County, Vermont. 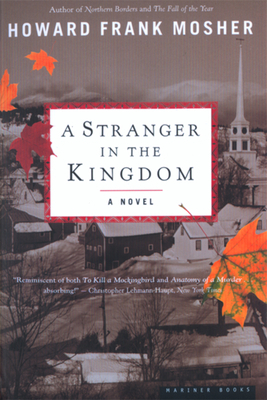 A Stranger in the Kingdom tells the unforgettable story of a brutal murder in a small town and the devastating events that follow. The town’s new preacher, a black man, finds himself on trial more for who he is than for what he might have done in this powerful drama of passion, prejudice, and innocence suddenly lost . . . and perhaps found again.